Welcome to our Webinar Series where we offer our members unlimited access to new and compelling information. A. Certified Executor Advisor Series. Mark O’Farrell is offering a special discount for all CPCA Members. To learn more about his Certified Executor Advisor (CEA) designation and to access the special discounted tuition, please Click Here. 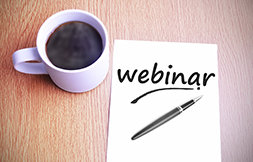 Webinar #1: Why Engage with Executors? Who are these people? What do they look like? Why should we even care? Why you’ll want to engage executors in the most powerful conversations you’re not having. With insight from sweet 92 year old Mavis and dire caution from the Conference Board of Canada, we’ll reveal the pending crisis from the collision of attitudes and demographics. Webinar #3: What Has Changed in the Past 20 Years? What’s changed in the last 20 years that has made being an executor ‘the hardest job you never applied for’? Everything, when you think about it in context. What is a Certified Executive Advisor(CEA) and why CPCAs may make ideal CEAs and how combining the two designations can make you more successful than you have ever been. Successful monetization is critical to sustainability, so we’re vested in your financial success. We’ll review the shockingly successful first executor-facing seminar, the extensive tools & resources available to members and what may grow to be the largest professional referral organization in Canada. Join us!